The Naples Zoo has a new baby Bongo. First-time mother, three-year-old Bongo, Amara gave birth to the male calf at 2:25 A.M., Wednesday, January 23rd. Now the public can help name him. 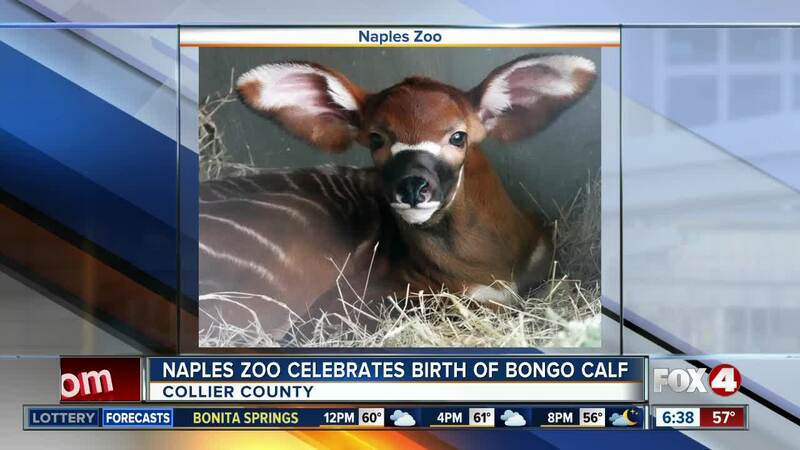 NAPLES, Fla.-- The Naples Zoo has a new baby Bongo, and it needs a name. First-time mother, three-year-old Bongo, Amara gave birth to the male calf at 2:25 A.M., Wednesday, January 23rd. He weighs about 40lbs and stands approximately 2-feet tall. The Bongo is a critically endangered species. Now, there are three names you can choose from for the baby Bongo. You can pick your favorite name, by clicking here. Voting ends February 6th, 2019.